Illinois Title Professional / Illinois Escrow Professional designations have quickly become the standard of industry knowledge for either an escrow or title professional in Illinois, creating a more qualified pool of candidates from which employers can pull, as well as a great tool for employers to supplement the skills of their existing employees. Don’t be left behind! 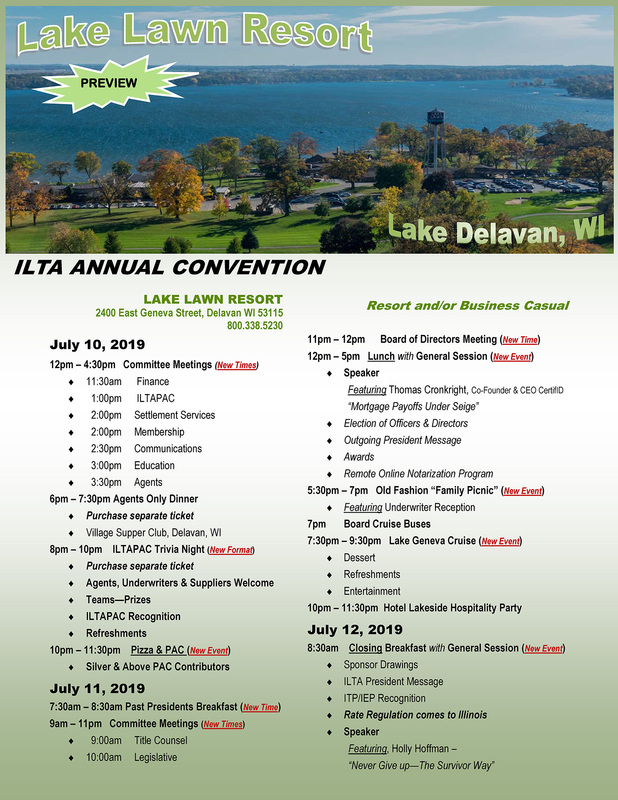 ALL ITP & IEP employed by an ILTA member are complimentary individual members. Each designation includes the successful completion and exam of four (4) courses. Courses have been developed by professionals within the industry, individually reviewed and will be presented by instructors who have extensive experience in land title evidencing. Course fees are $295.00/course for members and $395.00/course for non-members. If you register for a second course at the same time the second course is discounted by $95.00.